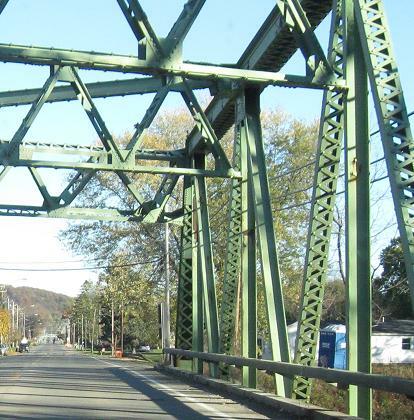 Mismatched shields from NY 53's southern end, and looking north at a truss bridge and another shield that doesn't match the others. The South shield is the only correct one. 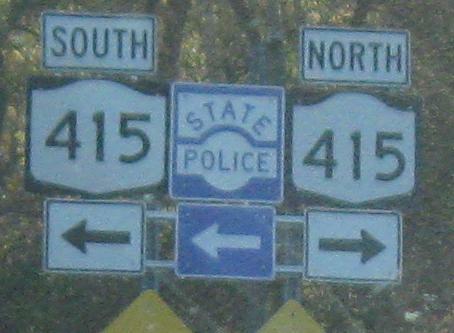 On the way into Bath, an old NY 17 shield that will soon be removed (which is why it wasn't replaced with the other new shields) and a remnant of the original route to go this way. 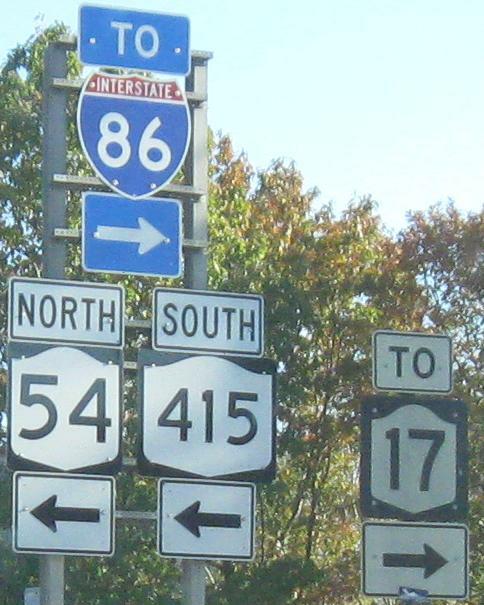 Before the I-86/NY 15 freeway, there was NY 17/NY 15. 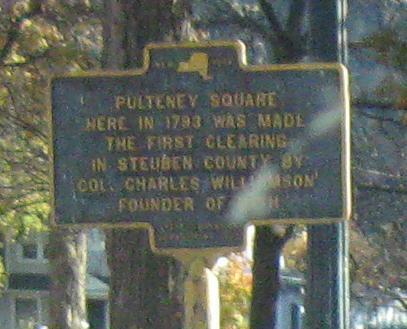 Before that, there was no freeway at all, and the entire route of NY 415 to Painted Post (but not into Corning) was the original US 15. 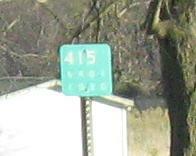 That's how old this reference marker is, and it's especially rare because it has the double-dash on the top line. 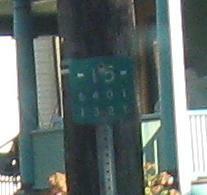 That's one generation older than most little green signs with the top number larger. Old signs in Bath, the second clearly older than the first. My window conveniently blurred what the Colonel founded (it's BATH). 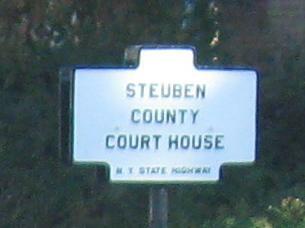 The other face of the courthouse sign, courtesy John Krakoff. 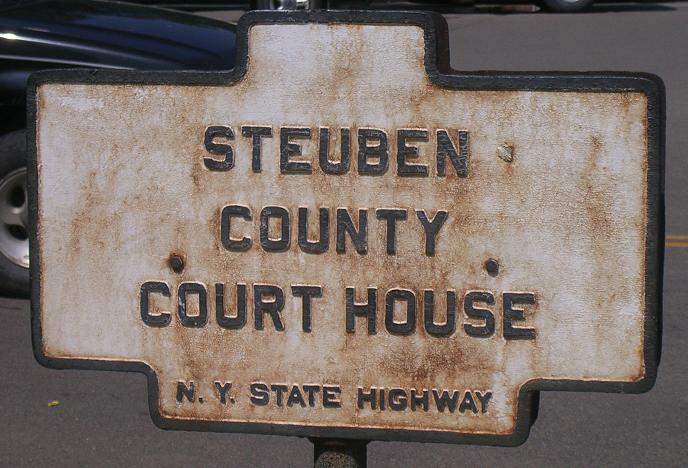 Continuing farther, the milemarkers go back to "415", and you still can find many of this old style (no hyphens, but I can't expect to find more of those). 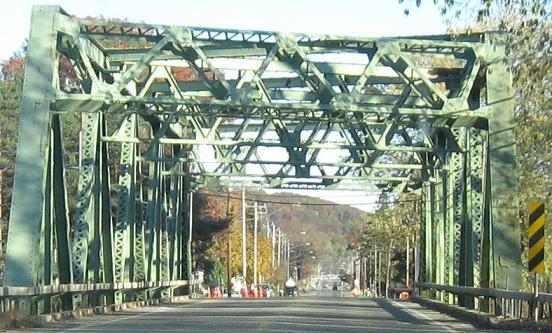 Right by this one is another truss bridge.